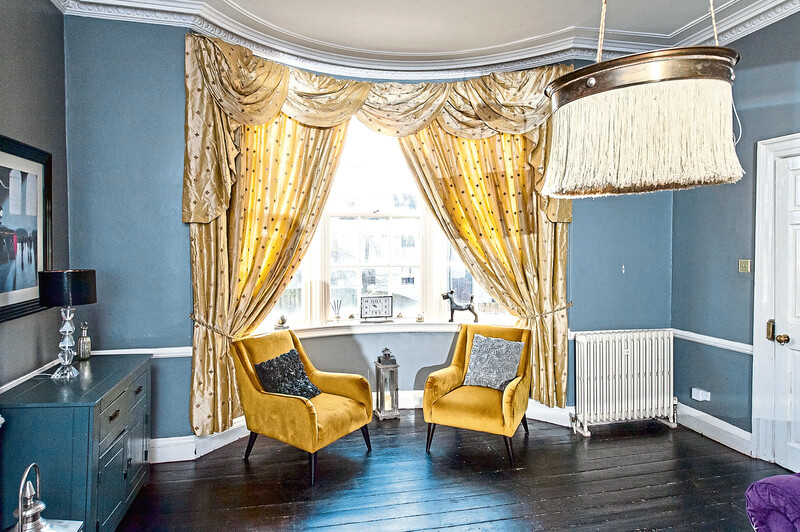 The Cowies were on the hunt for a new-build when they stumbled across Invercowie House, a B listed period townhouse steeped in history and complete with gorgeous original features. Angela and Danny took one look and did a complete U-turn, before going on to invest the next decade in turning the four-bedroom property into a beautiful family home. They’ve welcomed nine-year-old Darcy and Amelie, eight, as well as Spencer the dog and Sylvester the cat. The clan are now hoping to live more rurally, but Angela admits they will be “heartbroken” to close the door on their quirky pad for the final time. Invercowie House can be found on Barclay Street in Stonehaven and would, perhaps, once have been referred to as “the big house” in the area. 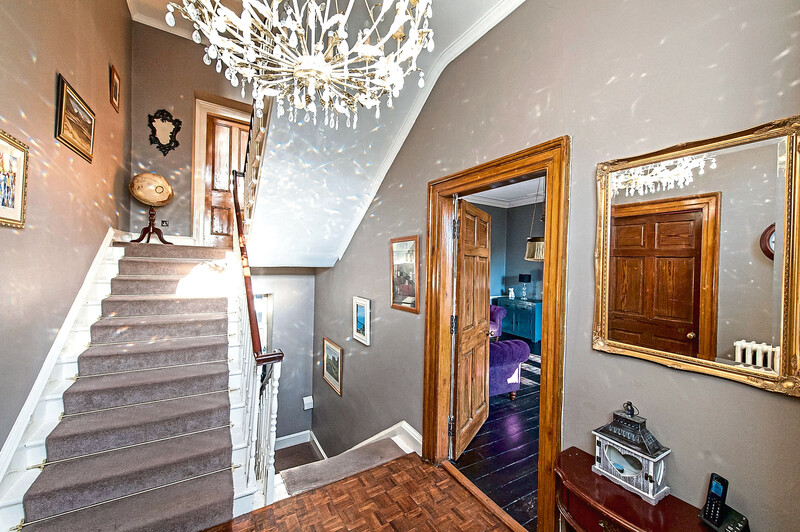 With its impressive facade, it is reminiscent of a time when the front steps would have been scrubbed each morning while carriages pulled up on the cobbles outside, before the horses were taken to be watered at the coach house, which still stands today. The street which sits in front of Invercowie once served as the extensive gardens, before Stonehaven was gradually built up around it. Indeed, the new homes which Angela and Danny originally went to view were built on land belonging to Invercowie House. Grandeur still intact, Invercowie is perfectly symmetrical from the front door going right up to the eaves. Angela believes that it is one of a kind and it’s not hard to see why. 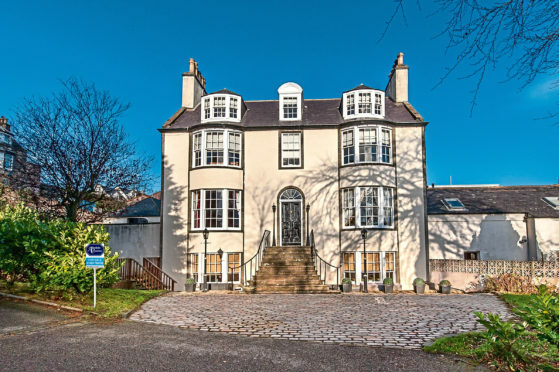 “We fell in love with it almost instantly; I don’t think there’s any house quite like Invercowie in the whole of the north-east,” said Angela, who is a teacher at Lochside Academy in Aberdeen. The house is believed to be around 250 years old and featured on Wood’s Town Plan of Stonehaven in 1823. Angela hopes that new owners will able to find out more about the previous inhabitants, and fall in love with the listed building just as much as she has with the passing years. 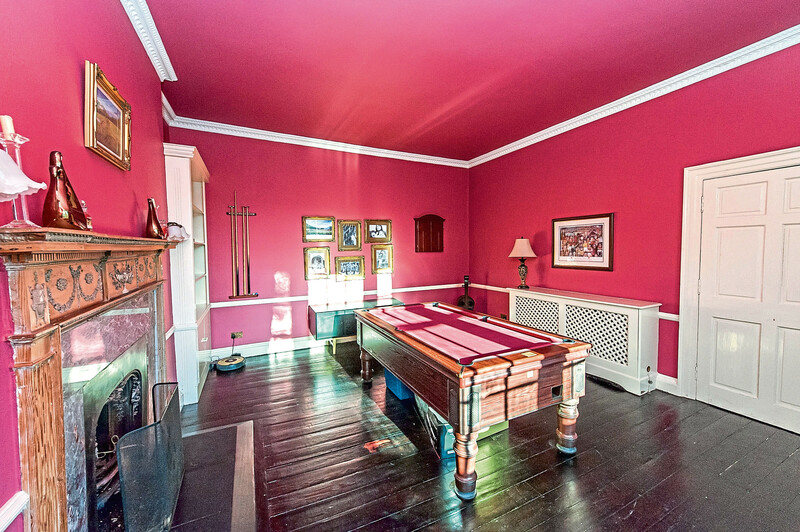 Upon entering Invercowie, guests can be entertained in the lounge or games room. The lounge contains the original fireplace, as do many other rooms in the house. It also offers the original light fitting. The unusual feature has been listed alongside the building and as such, must be sold with the house. “When we first saw the light we were a bit surprised, it operates via a weight and can be lowered,” said Angela. “But the conditions mean it can’t leave the house, and we have actually grown to love it. “We did a lot of work when we moved in and every time I look at the original floorboards, which we sanded and varnished, it’s a reminder that it was worth it. The quirky layout means the kitchen diner can be found in the basement and offers unusual curved windows. 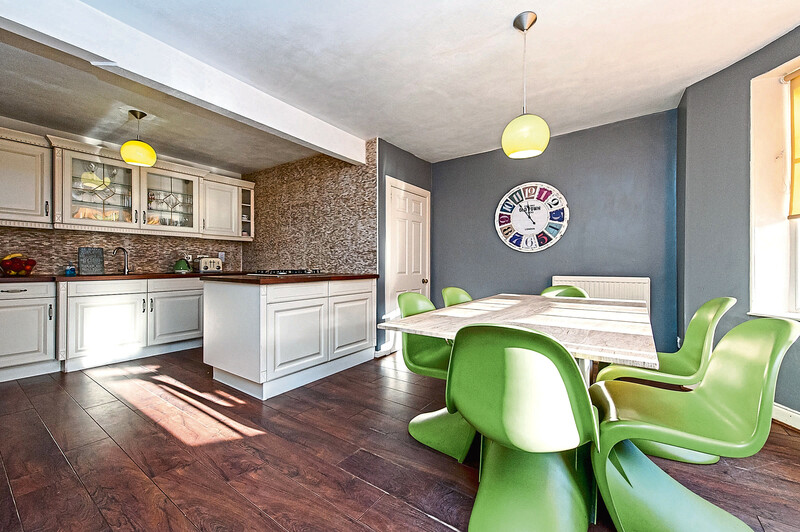 There is plenty of scope on offer for dining furniture, and just across from the kitchen is a family room. 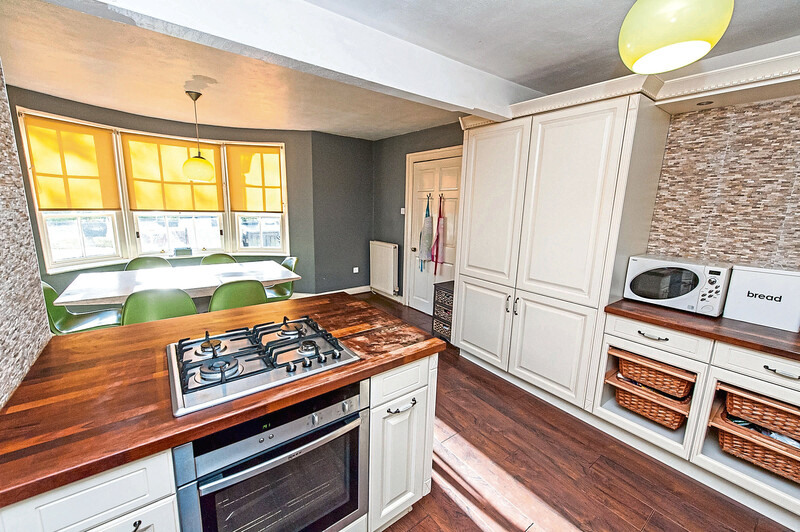 This could be used as a further dining space and provides access to the utility come boot room. Head back upstairs where the bedrooms are spread across two floors. 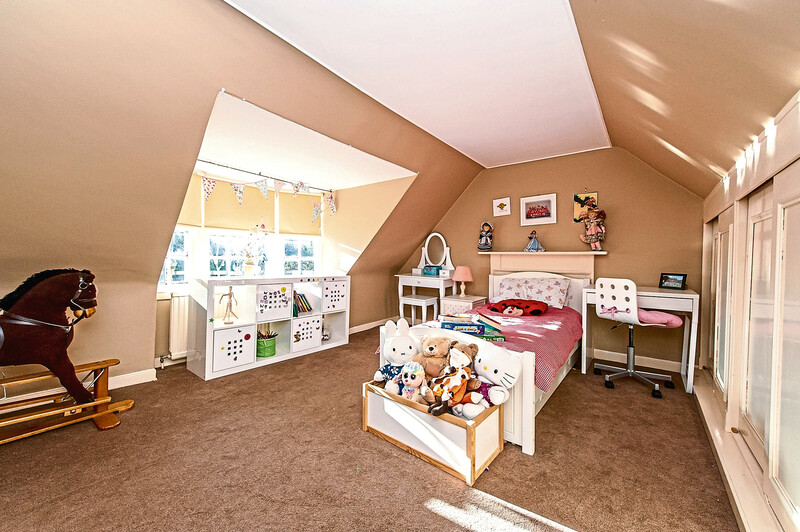 The master bedroom offers in-built wardrobes and an en suite bathroom, complete with elegant claw foot bath. The remaining bedroom on this floor is also of good size. “Darcy and Amelie rule the top floor, their rooms are quite big and it’s lovely to have them across from each other,” said Angela. 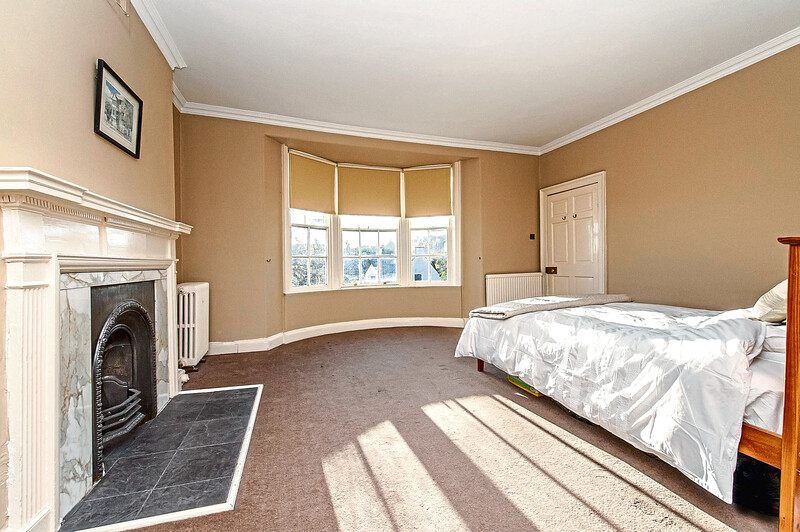 Both bedrooms offer views across Stonehaven towards Dunnottar Castle and Stonehaven harbour. A wealth of history continues outside, with the original coach house to the rear of the property. This offers scope for renovations and could easily become a studio or office space with planning permission. 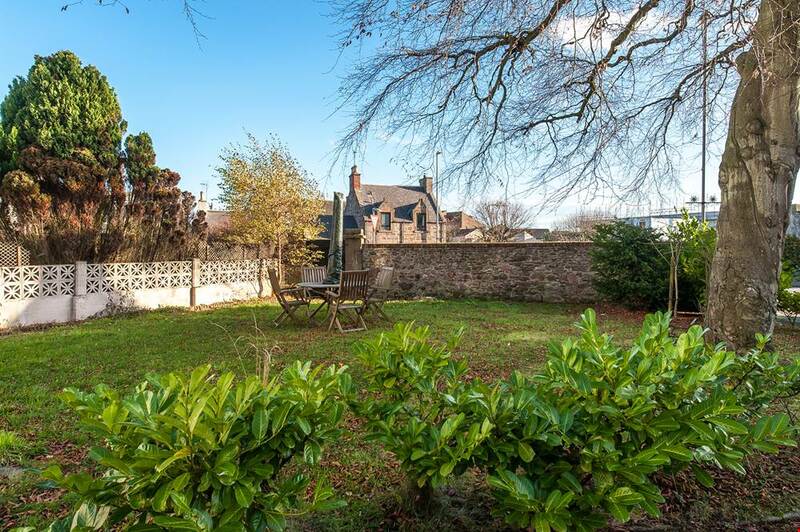 There is also a cobbled driveway and side garden which has been used for al fresco dining but could easily be built up with greenery by a keen gardener. “We have loved Invercowie House and having Stonehaven on our doorstep has been wonderful for the girls,” said Angela. “We have harboured a dream to live more rurally for a while now but it will be very hard to leave Invercowie. Offers should be made of more than £439,000.